Watch the latest GPS special ‘Global Lessons: Putting America to Work,’ this Sunday at 8 p.m. ET. Editors Note: Professor Paul Steffens is deputy director of the Australian Centre for Entrepreneurship Research, QUT Business School, Queensland University of Technology, Brisbane, Australia. The views expressed are his own. In times of economic turmoil, new firm creation is often thought to act as an important driver of innovation and jobs. And recently released data from the Global Entrepreneurship Monitor (GEM) indicates that Australia is emerging as the leading developed nation in terms of entrepreneurship. According to the latest GEM figures, with 10.5 percent of adults engaged in starting a new business, Australia sits second amongst developed nations. The United States, long seen as the bastion of free enterprise, continues to do many things right. In fact, at 12.3 percent the U.S. has the highest overall level of entrepreneurship per capita. Yet recent years have seen a dip in alternative employment opportunities in the U.S., meaning that a much larger number of new businesses are borne out of necessity. Although recovering, opportunity driven new ventures that fuel the economy declined substantially with the global economic slowdown. By comparison, Australia has far fewer necessity driven entrepreneurs. Of course, it is not just the quantity of entrepreneurs, but also the level of their aspirations and business goals that are important drivers for economic growth and jobs. Analysis of the GEM data clearly shows that Australia compares well with other major economies in terms of the “quality” of entrepreneurial activities being pursued. For example, Australia’s new ventures ranked in the top few nations in terms of both job creation expectations and product/service innovativeness. So what drives this high quantity and quality of entrepreneurship in Australia? As one might expect, it does not seem to be a single factor, but multiple features of the economic, cultural and institutional landscape that together encourage and support a healthy entrepreneurial sector. First, the Australian culture seems to support and encourage entrepreneurship, with evidence pointing to positive attitudes towards entrepreneurship coupled with the relatively high level of affirmative media attention, which presents successful role models for prospective entrepreneurs. Furthermore, Australia also ranks above average in regard to employee entrepreneurial activity in established firms. Indeed, Australia, together with the U.S. and the Netherlands, are the only three developed countries to rank above average on both independent and employee entrepreneurial activity. Also important is the presence of business opportunities together with entrepreneurial skills. GEM data reveals that around 50 percent of the Australian population identify opportunities for a start-up venture and believe that they have the necessary skills to start a business. As a result, 12 percent of our respondents have expressed the intention to start a business within the next three years. These numbers are all well above average when compared with the other major economies. In addition, starting new businesses is a comparatively inclusive phenomenon in Australia. For example, GEM data shows a high proportion of female entrepreneurs. Approximately, 8.4 percent of adult females are actually involved in setting up a business or have recently done so. Here, Australia ranks second among developed economies. Similarly, there is a wide spread of age groups involved in new business ventures. This paints a healthy picture of access to entrepreneurial opportunities for all Australians. Finally, Australia’s governments and institutions do a good job of minimizing red tape, and provide adequate support for new businesses. 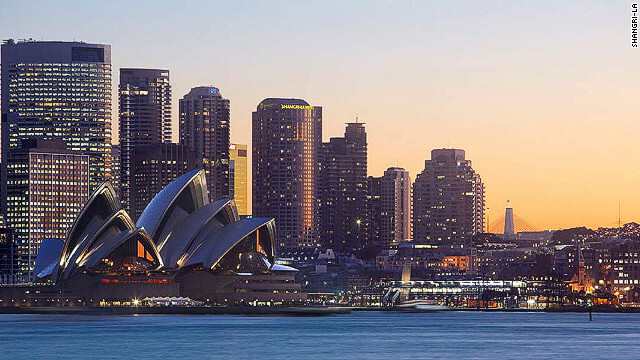 Australia appears on par with other nations in terms of providing programs and education for budding entrepreneurs. Importantly, governments and regulators seem to do particularly well at making life easy for new businesses, with Australia ranked second out of 183 countries by The World Bank in terms of ease of starting a new business. One other factor that might explain Australia’s entrepreneurial prominence is our relatively positive economic climate. Australia has weathered the global economic storm well when compared with other OECD countries. Yet this is largely due to the health of our resources sector. The two-speed economy is a very real thing in Australia, with most other sectors of the economy experiencing modest or negative growth. Hence, our enviable GDP doesn’t provide a simple answer to the strong performance of our entrepreneurial sector. That said, the comparatively high business confidence and domestic growth clearly don’t hurt. So I would not say Australia has got everything right. Legitimate questions often arise about our lack of a suitable ecosystem and venture capital to support business with very high potential. We have yet to produce a Google or Microsoft. But all in all, Australia seems to be getting most things right when it comes to entrepreneurship.